Who can explain passion? The performer known as Jalilah was born Lorraine Zamora Chamas and raised in California. Thirty years ago she fell in love with the raks sharki dance style–that’s belly dancing to those of us whose midsections jiggle more than jig–and began a journey that’s taken her to Egypt, Germany, Lebanon, and Canada. She’s made six albums of belly dance music, usually with highly regarded Middle Eastern orchestra leaders such as we find on this culling from her previous recordings: Mokhtar Al-Said, Hossam Shaker, and Ihsan Al-Mounzer. 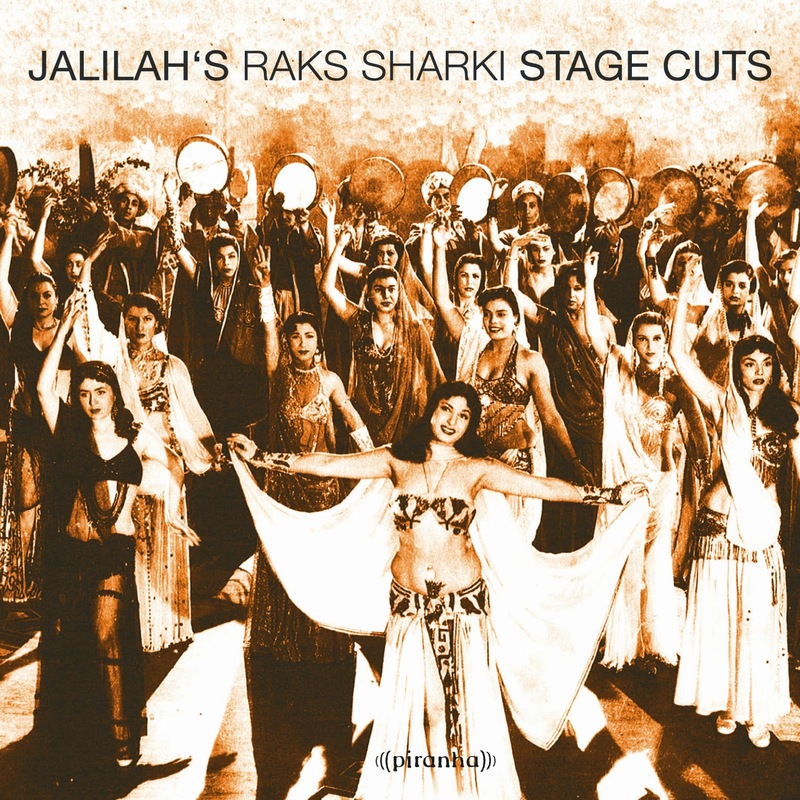 If the music reminds you of music you’ve encountered in old black and white movies, it’s because Jalilah prefers the vibe and rhythms of 1930s/40s style dances. Her major nod to modernity is the realization that today’s audiences have shorter attention spans. These are indeed stage “cuts,” in that she’s taken music/dance performances that would have originally run up to twenty minutes and knocked then down to five or fewer. Here’s a clip of Jalilah doing her thing. And if you mail a check for $20 to my private bank account I promise not to post a YouTube of me attempting the same thing!